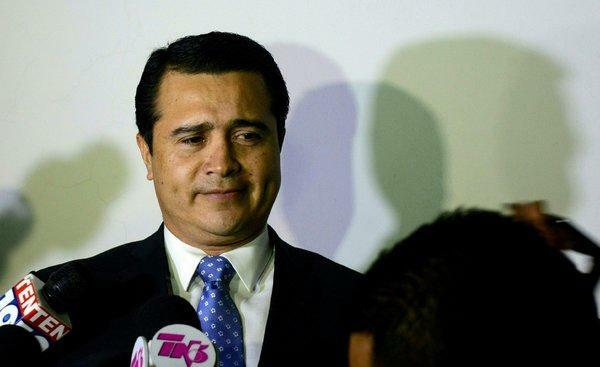 A former mayor of Honduras and an alleged accomplice of the former Honduran deputy and brother of the current president of the country Juan Antonio Hernández Alvarado was accused today by the US Attorney’s office of conspiring to traffic cocaine into US territory. The former mayor, Amilcar Alexander Ardon Soriano, participated between 2000 and 2015 in the processing, reception, transportation and distribution of “large quantities of cocaine that arrived in Honduras in fast planes and ships,” said the statement of the court of the Southern District of New York . “He participated in providing important security measures in the shipments (of cocaine) transported in Honduras,” says the text, which also details that the former mayor of the town of El Paraíso, in the south of the country, charged a fee for each kilogram. cocaine that passed through his municipality and that was trafficked by other criminals. The text also reveals that Ardon Soriano made millions of dollars with the distribution and sale of cocaine he was trying to take to the US, with which he financed his own political campaigns and one of his partners. In a parallel case, Mario Jose Calix Hernandez, alleged accomplice of former Honduran deputy Juan Antonio Hernández Alvarado, is also accused of participating in drug smuggling activities with traffickers based in Colombia, Honduras, Guatemala and Mexico, and of providing security services. during the transfer of cocaine. Hernández Alvarado, who is also the brother of the current president of Honduras, Juan Orlando Hernández, was one of Calix Hernández’s accomplices, although the ex-legislator was already arrested in Miami in November 2018 and transferred to New York, where he faces the same charges for drug trafficking. “Both Amilcar Alexander Ardon Soriano and Mario Jose Calix Hernandez conspired to import huge amounts of cocaine into the US. and they used large-caliber weapons to protect shipments, “New York District Attorney Geoffrey Berman said in the statement. “Thanks to the DEA (the US anti-drug department), the two men now face charges in the US,” said the lawyer, who has requested the extradition of the two men from Honduras and Guatemala. Newer PostWhy Do Dead Whales Explode?